Pack of 12 Glowing Light Sticks - 6 in. 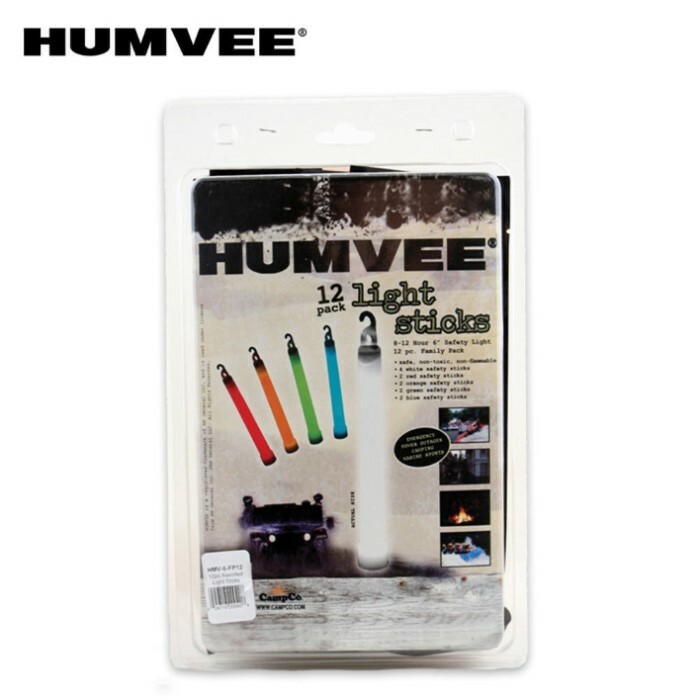 This pack of 12 glow sticks has you covered from darkness at home, while camping, road-side and where ever you need fast, convenient light. Each light stick will glow for 8-to-12 hours, and is 6 in. long. They also include a top hook for hanging or tying. Light sticks like these are a must for your emergency survival kit. Safe, non-toxic and non-flammable. Assorted colors include Red, Orange, Green, Blue and White.